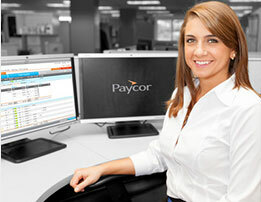 Paycor becomes the only all-in-one HR and payroll offering currently under contract with QSCC for the Wendy’s system. Learn how Paycor can help drive your success with intuitive HR, payroll & compliance solutions. We understand the unique needs of Wendy's franchises. Your employees don’t have time to learn a complicated new system. Our intuitive solution is designed to simplify your processes. Even better, we take your feedback seriously. Each year, client suggestions are used to help improve our products. Improve your operational workflow by integrating point-of-sale systems like Aloha seamlessly into our Perform payroll platform. Only Paycor offers a specialized sales and support team for Wendy's franchises. Our sales executives, client service specialists, and implementation team knows your business and are there when you need them. Quick service restaurants are often the most vulnerable to compliance changes. We offer solutions for ACA, DOL and HR to help keep your business compliant. Violations can cost your business thousands of dollars in fine and penalties. Receive access to online reports to ensure compliance, including affordability and eligibility for health coverage. Manual processes cost your business time and increase the risk of errors. Create reports and schedule them to run automatically. Select the reports you need, schedule them, and choose who should receive the data. Eliminate sending multiple spreadsheets. See a complete overview of costs before payroll is run. Make adjustments and correct errors before it’s too late. Get true insights and analytics into your people processes. Reporting & Analytics to help you better understand your business and reduce turnover, recruit and hire employees efficiently and manage overtime. Efficiently generate meaningful insights from employee data to see historical labor trends and predict future outcomes. Data includes average length of service, employees paid per month, and total compensation by month and by department. Designed for customization, create your own calculated columns using formulas to deliver data that helps predict your business needs. Resources to maximize your success. Paycor helps franchisees streamline their operations to grow their organizations. "I’m extremely happy with our decision to partner with Paycor. I was pleased with the sales process and implementation. I could not have asked for a better experience." Paycor offers a sales and support team dedicated to Wendy's franchises who understand your business needs.